The king of the jungle has found his trusty advisor. 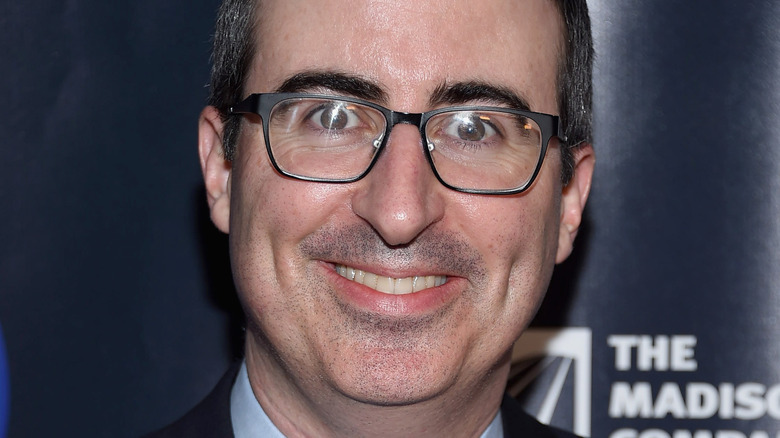 TheWrap announces that John Oliver has been cast as Zazu in Disney's live-action The Lion King, an adaptation of the classic 1994 animated film of the same name. Posh, dignified, and somewhat uptight, though certainly subject to many a nervous breakdown, Zazu is a red-billed hornbill who serves as the right-hand (or should we say wing?) man to Mufasa (originally voiced by James Earl Jones) and later Simba. The character was originated by Mr. Bean star Rowan Atkinson. Directed by Jon Favreau, who currently appears as Happy Hogan in Sony and Marvel's Spider-Man: Homecoming, the forthcoming refresh already features a star-studded cast. Oliver will join Donald Glover as Simba, James Earl Jones as Mufasa, Seth Rogen as Pumbaa, and Billy Eichner as Timon. The Last Week Tonight with John Oliver host certainly has the experience to do well in the voice role. He previously lent his pipes to The Smurfs franchise, portraying Vanity Smurf, and to television series like The Simpsons and Bob's Burgers. Oliver's most recent voice role is in Paramount's Amusement Park, which also stars Matthew Broderick, Jennifer Garner, and Mila Kunis. The live-action Lion King is set for release on July 19, 2019. Since we've got a bit of waiting to do until then, take a look at the hidden Disney moments almost no one notices.